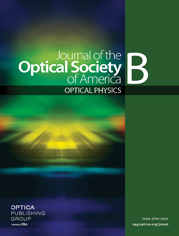 Supercontinuum (SC) generation in all-normal dispersion photonic crystal fiber under high energy femtosecond pumping is numerically investigated. It is shown that coherent octave spanning SC spectra with flatness of better than ±1 dB can be achieved over the entire bandwidth. A single pulse is maintained in the time domain, which may be externally compressed to the sub-10 fs regime even by simple linear chirp elimination. The single optical cycle limit is approached for full phase compensation, leading to peak power spectral densities of multiple kilowatts/nanometer. The generated SC is therefore ideal for applications which require high broadband spectral power densities as well as a defined pulse profile in the time domain. The properties of the generated SC are shown to be independent of the input pulse duration.